【Desktop PC Experience】Our Usb c to hdmi adapter enables you to turn your Galaxy Note8/S8/S8 plus/S9/S9+ into a true desktop PC experience as the original samsung dex station. Please connect the power supply first. Notice: Doesn't support Samsung Tablet. 【Support Nintendo Switch】 Using our type c to hdmi adapter, you can hook up this extra adapter to a separate TV, so you can play games while charging the device, no worry battery low. 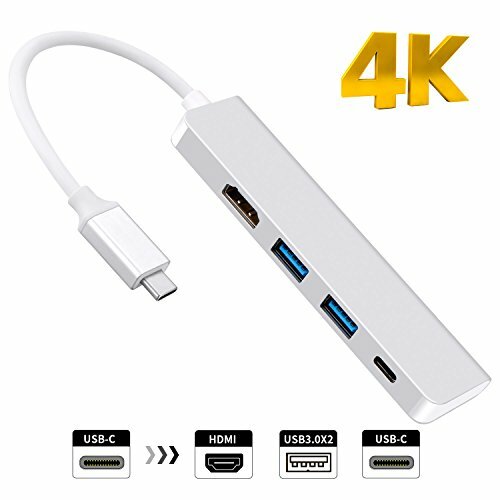 【Support 4K Ultra HD Resolution】 Original Samsung Dex Station only support 1080P resolution, but our HDMI output support up to 4K resolution (3840 x 2160 @ 30 Hz) for Macbook Pro or other laptops, but dex mode max support 1080p. 【Mirror Mode】You can mirror the MacBook Pro or other compatiable laptops screen to a large screen display such as TV or projector , work in a large screen workspace, or use it for presentation with a projector etc. If you have any questions about this product by BBing, contact us by completing and submitting the form below. If you are looking for a specif part number, please include it with your message.